"Imagine a vast château, Rolls-Royces, a hotel built as an homage to Frank Lloyd Wright, a mind-bending art collection – not to mention lions, tigers and bears…and you have Nemacolin." 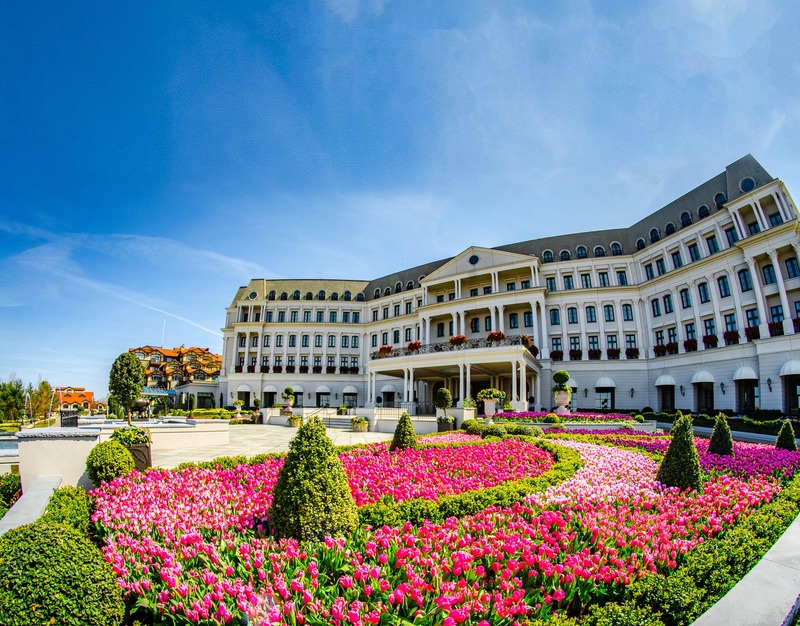 Nemacolin Woodlands Resort is an expansive destination resort and spa in the Laurel Highlands of Western Pennsylvania. Once the summer retreat of Pittsburgh industrialist, Willard F. Rockwell, the property sits 70 miles south of Pittsburgh in the Allegheny Mountain range. Located on 2,000 mountain acres, the resort comprises five distinct lodging options: Falling Rock, a 42-room Frank Lloyd Wright-inspired all-butler boutique hotel; the 124-room Chateau Lafayette, inspired by the legendary Ritz Paris; The Lodge at Nemacolin Woodlands Resort, the original Rockwell hunting retreat; and a selection of luxurious townhomes and vacation homes. The resort is 15 minutes from Ohiopyle State Park and two Frank Lloyd Wright mansions: Fallingwater and Kentuck Knob. Nemacolin Woodlands Resort is home to 15 dining options, including the Forbes Five Star and AAA Five-Diamond Lautrec restaurant; the Woodlands Spa; a holistic healing center; a casino; two 18-hole Pete Dye Championship Golf courses; tennis and squash courts; five pools; an Adventure Center; and a multimillion-dollar art collection, including works by Fernando Botero, Alexander Calder, Louis Comfort Tiffany, Frank Stella and more.